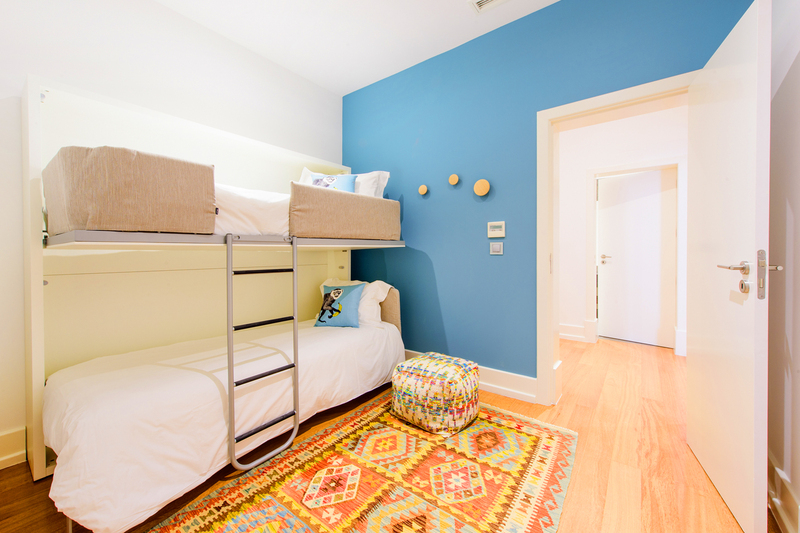 Travelers planning to visit Portugal with their kids or grandkids but who demand more than the average “family-type” accommodations will want to know about a new, upmarket family property located in the Portuguese capital. 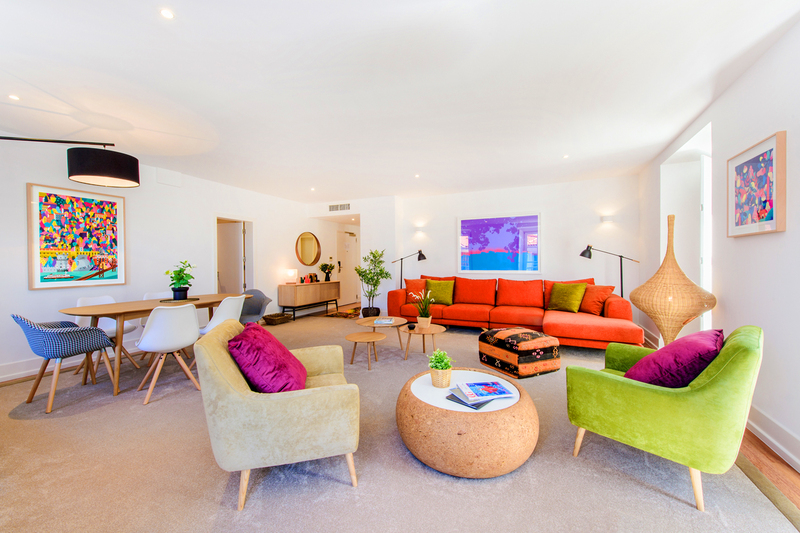 The small but growing chain Martinhal Family Hotels & Resorts debuted its newest hotel on Sept. 9, Martinhal Chiado Family Suites in the heart of historic Lisbon. The Chiado property joins the chain’s other Lisbon property, Martinhal Cascais Family Hotel, which opened its doors less than six months ago, on March 18. Located in Lisbon’s cultural epicenter, Martinhal Chiado Family Suites is “[T]he world’s first city-center elegant family hotel,” according to the company. It comprises 37 apartments that were specifically designed with families mind, but without sacrificing luxurious, contemporary style. Available accommodations range from studios to two-bedroom apartments, with each unit featuring a full kitchen and washer/dryer, both of which are extremely helpful when traveling as a family. Martinhal Chiado’s central location makes it a very convenient base for families interested in exploring Portugal’s capital city. Those interested in history can visit UNESCO World Heritage sites like the Torre de Belém, or Belém Tower. Built on the northern bank of the Tagus River between 1514 and 1520 as part of the Tagus estuary defense system, the Tower of Belém is one of the architectural jewels of the reign of Manuel I. Other UNESCO World Heritage sites include Mosteiro dos Jerónimos, or Monastery of Jerónimos. Also known as the Hieronymites Monastery, it is of the Order of Saint Jerome and is located near the Tagus river in the parish of Belém, in the Lisbon Municipality. Lisbon visitors will also be able to ride the city’s traditional trams, explore Lisbon’s numerous parks and gardens, and visit the world-famous Oceanário de Lisboa, Europe’s second largest aquarium. The famous market-turned-sophisticated-food-court, Mercado da Ribeira is located five minutes from Martinhal Chiado. Because children are central to the Martinhal philosophy, the Chiado property includes a clubhouse with ample play space for children ages six months to early teens. 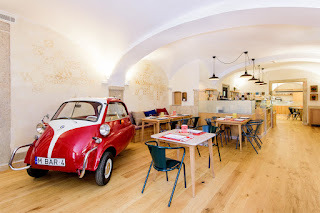 The Raposinhos Kids Club features various areas, each specially designed to stimulate and cater to each age group. Chiado will also feature a special ‘pyjama club’ (‘pyjama’ being the British spelling, for the uninitiated), offering childcare services each evening until midnight, allowing parents or grandparents to enjoy a night out in downtown Lisbon without the littles in tow. Martinhal also offers services for parents traveling with small children and infants. Martinhal’s Baby Concierge allows guests to pre-book baby equipment as large as safety gates and as small as bottle sterilizers and diapers. The Chaido property is the company’s second property in the metropolitan Lisbon area. Martinhal Cascais Family Hotel, which is located along the coast in the Cascais suburb of Lisbon, features 68 hotel rooms and four hotel suites, as well as 12 exclusive villas. The hotel is uniquely located between two championship golf courses – Quinta da Marinha and Oitavos. Chaido is the fourth property to open since the company opened its first resort in 2010. In addition to the two facilities in Lisbon, the collection also includes Martinhal Sagres Beach Family Resort – the company’s first - and Martinhal Quinta Family Golf Resort in the Algarve. Positioned within a protected natural park near the historic fishing port of Sagres on Portugal’s Algarve coast, Martinhal Sagres Beach Family Resort includes the 37-room Martinhal Sagres Hotel, the Martinhal Village which boasts 155 private homes and luxury villas with accommodations as large as five bedrooms. As reported previous by TheTravelPro, the Sagres Beach resort is offering a range of fall and winter specials. Martinhal Quinta Family Golf Resort offers private two- to five-bedroom luxury homes within a gated village in the Quinta do Lago area.